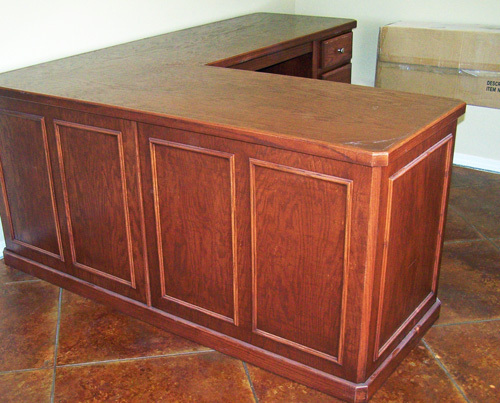 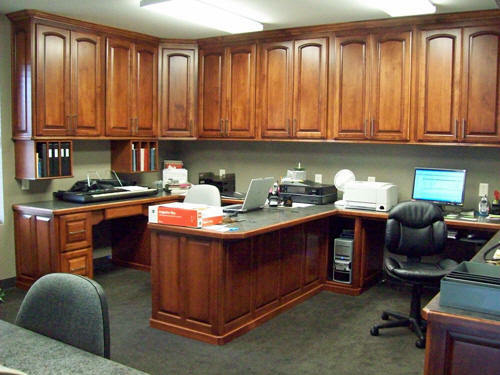 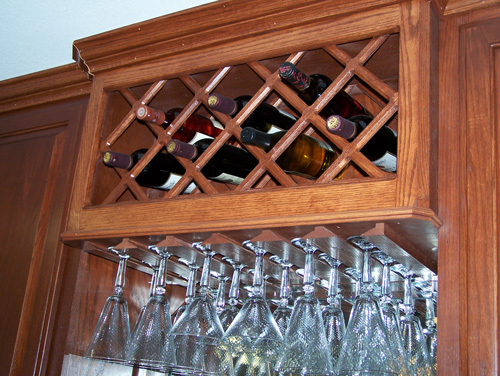 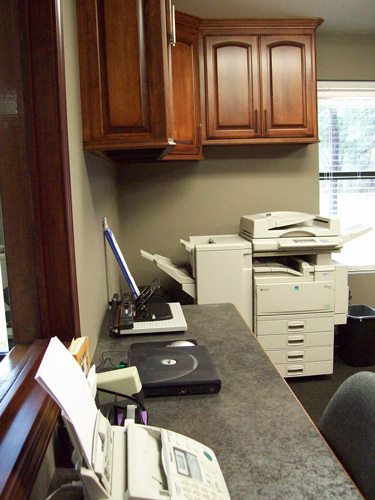 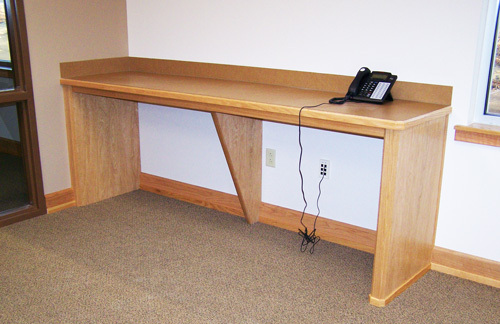 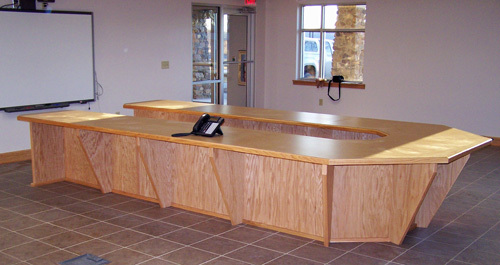 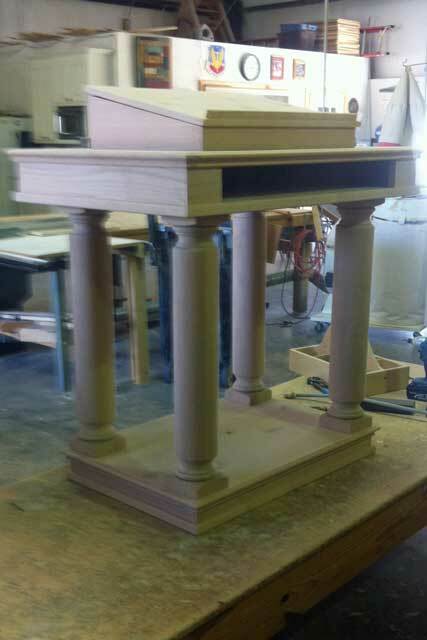 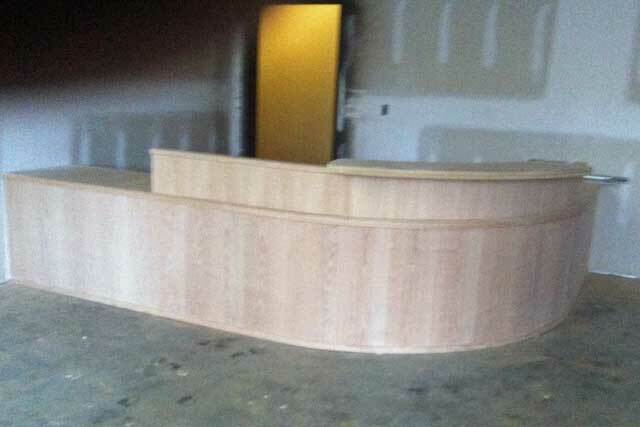 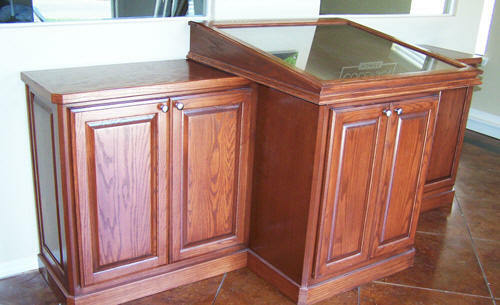 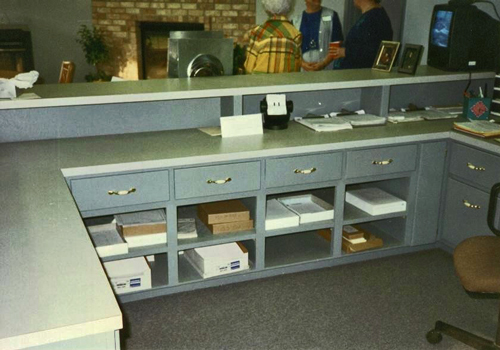 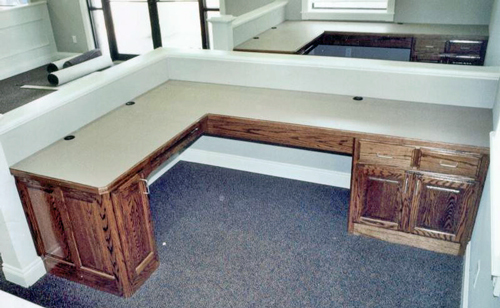 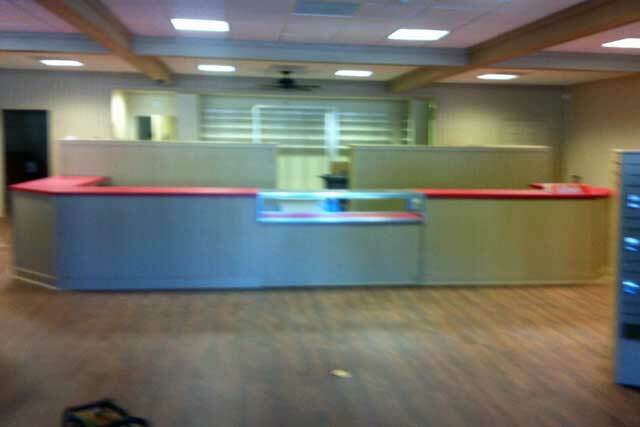 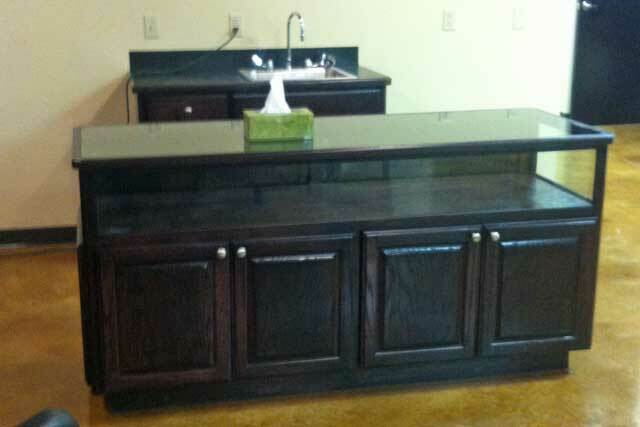 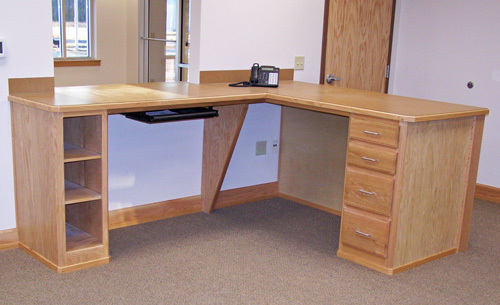 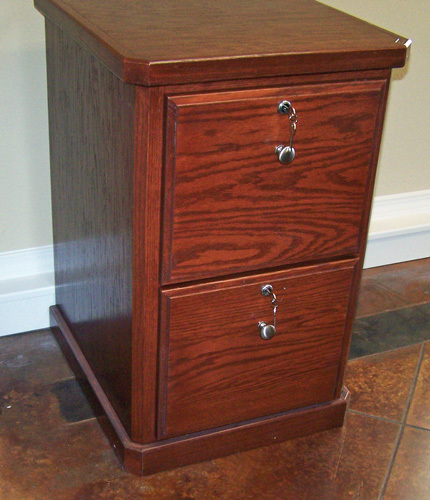 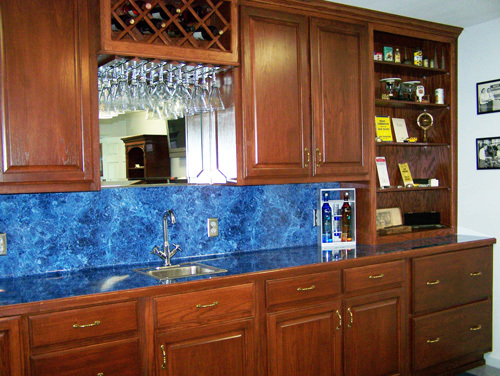 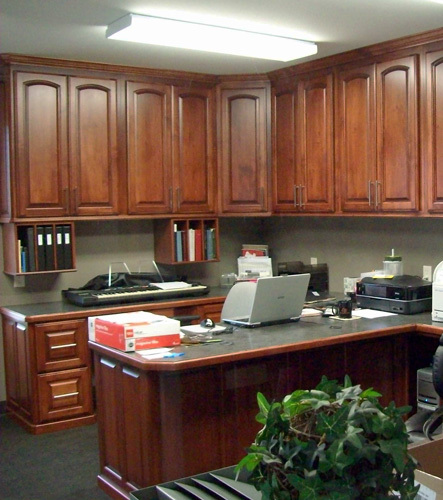 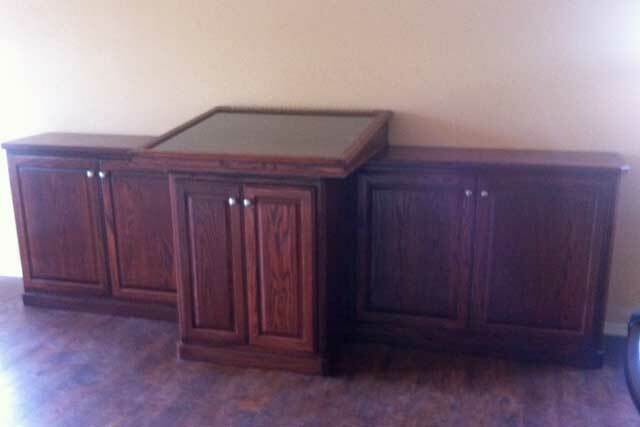 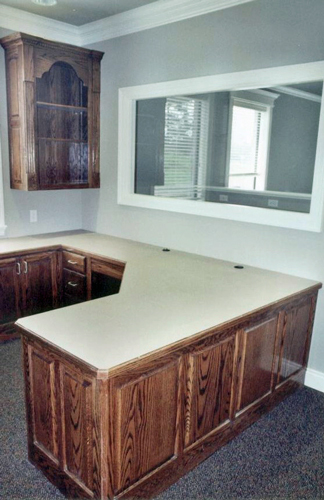 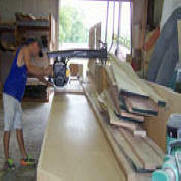 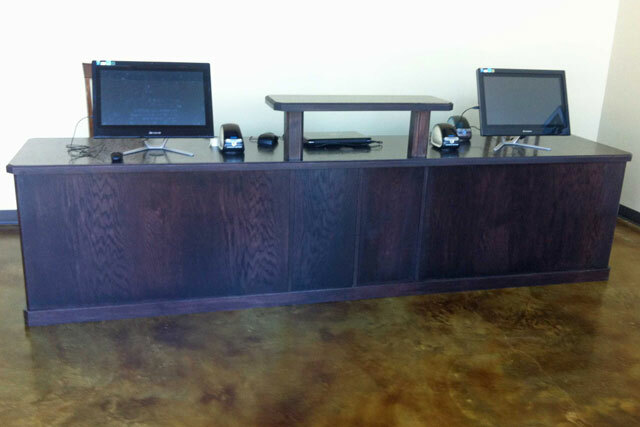 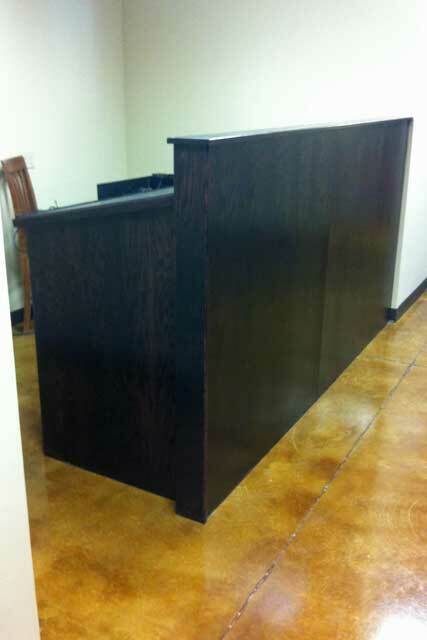 It has been Prater-Built's privilege to build and install office cabinetry for many fine businesses in Arkansas. 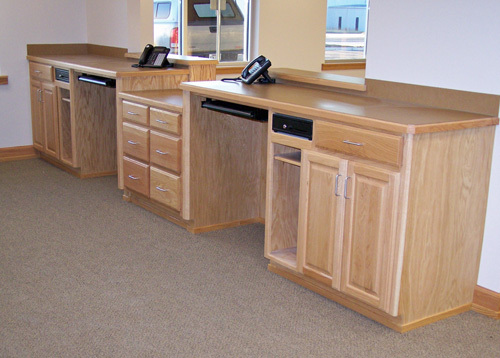 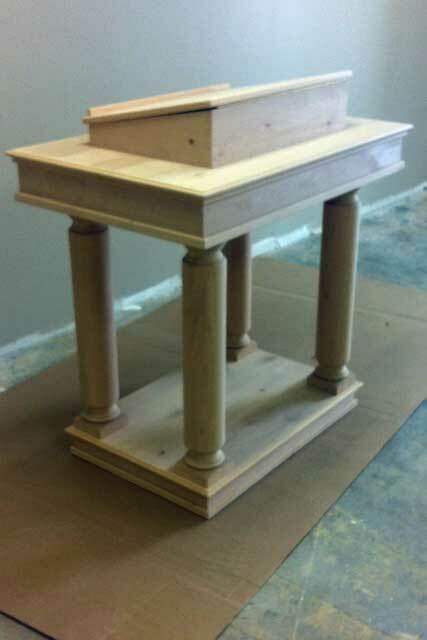 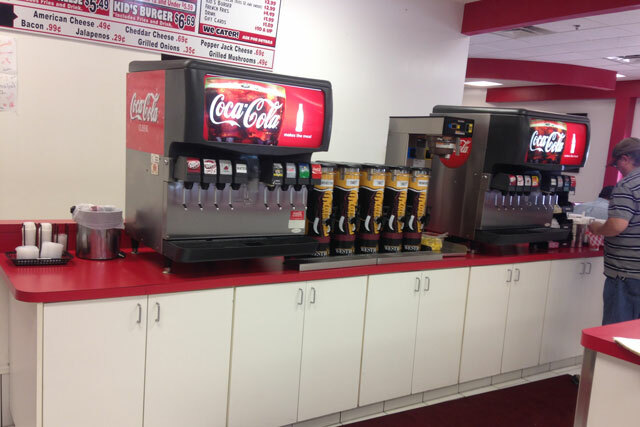 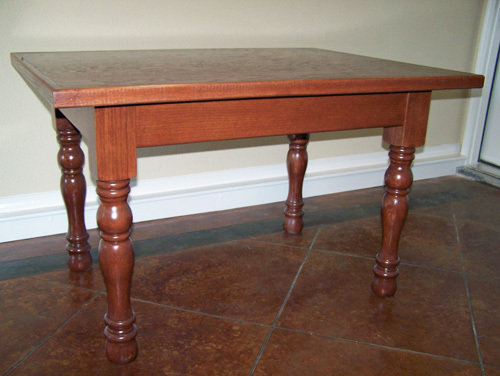 Please see our gallery, below, for a sample of what Prater-Built offers. 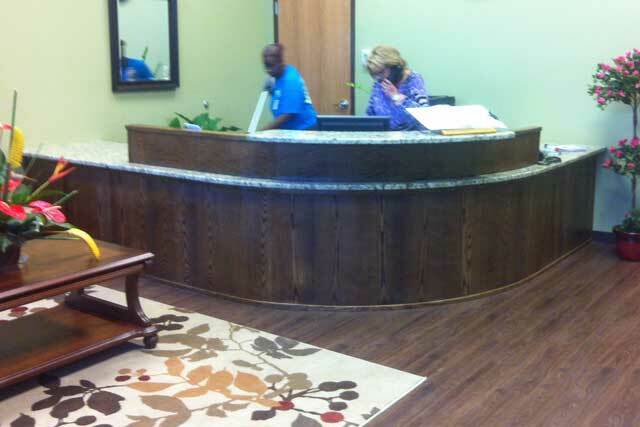 Also, check out an ever-growing list of satisfied clients in the sidebar. 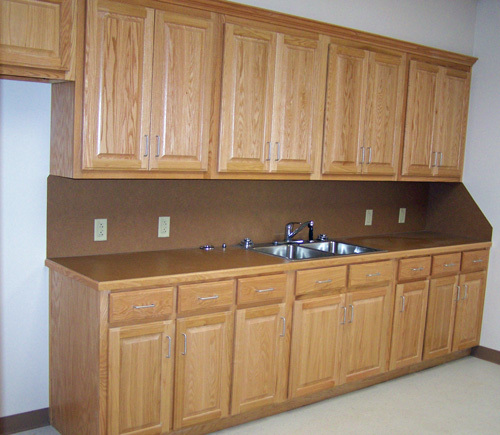 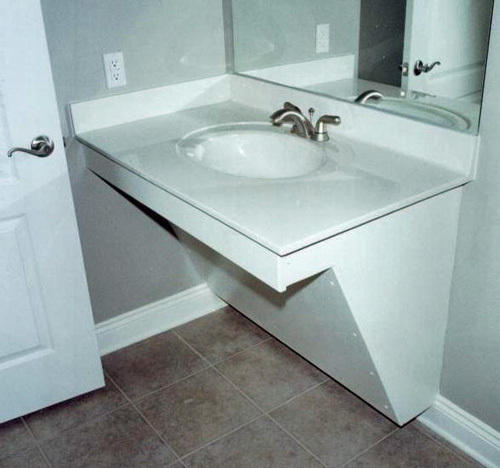 Possibilities are limitless when it comes to specialties that Prater-Built can build into your commercial cabinetry. 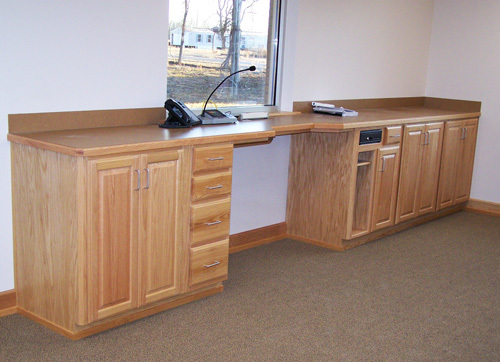 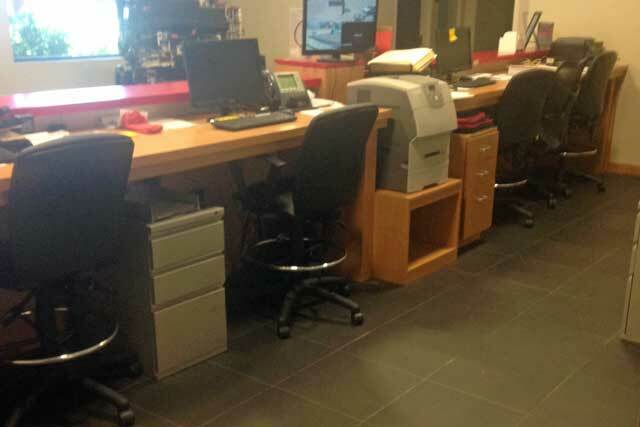 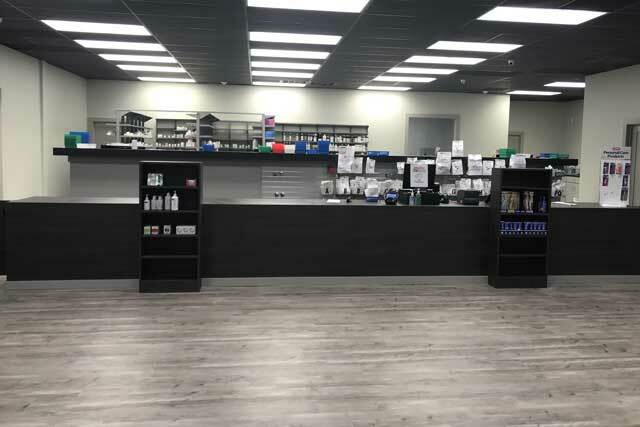 Some examples are: custom workspaces, mail slots, PC tower cubbies, keyboard trays, pencil drawers, pull-out trash bins, solid wood file cabinets, locking drawers, "hidden" storage, and stationary slots. 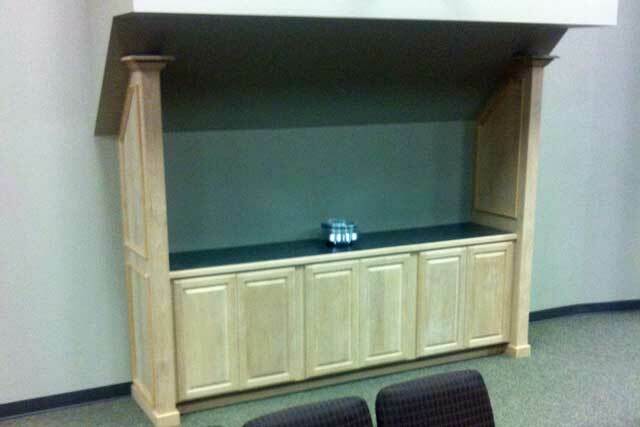 If you can imagine it, Prater-Built can build it! 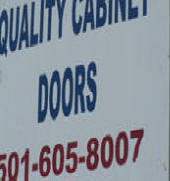 A day in the life of Prater-Built Door Shop. 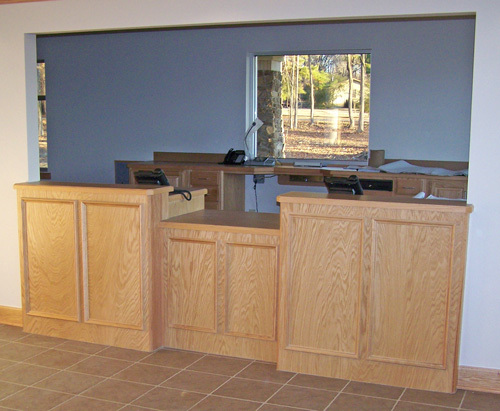 Stuttgart Municipal Building and Police Dept.